The What: Building on Visix’s APPOINT PowerPoint scheduling software for digital signage, the company has launched a niche version of the product – APPOINTwmv. 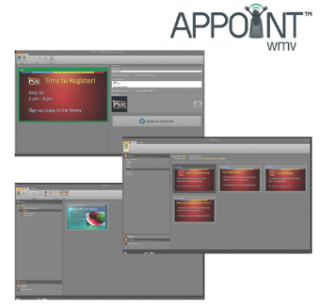 The What Else: APPOINTwmv is designed for clients who already have digital signage software that either isn’t easy to use, or who prefer to create their content in PowerPoint. It allows users to publish their presentations as videos from APPOINTwmv and schedule them for playback in any content management scheduling system.